'First Team: Juventus' is a Hard Knocks-style look at the Italian power's season. Here are the highlights and the needs-improvement areas for the docu-series. There’s a scene in First Team: Juventus when Italian defender Giorgio Chiellini, one of the club’s most accomplished players and respected leaders in Serie A, reflects on his team’s home loss to Lazio earlier in the season. This obsession is now captured on screen in this new Netflix docu-series, which is produced by global sports and talent management company IMG. Told in four one-hour episodes (the first three now available to stream) the show goes behind the scenes of one of the oldest clubs in football, as it chronicles the players and coaching staff in their private and professional lives with the hope of emulating the success achieved from series like Hard Knocks or 24/7. Amazon is set to follow suit as it prepares to launch its own behind-the-scenes show with Manchester City later this year. This is Netflix’s first attempt at documenting a giant soccer franchise, so the main expectation is to add a new audience–the global soccer fan–to its family. Regardless of the sport, most docu-shows that follow a team focus on the season’s journey from beginning to end, and here is no different. The first scene takes us to last summer and preseason, where the squad prepares for a tradition that spans for 90 years: an exhibition match against academy players in the nearby town of Villar Perosa (where the family that has owned the club for almost a century calls home) and an opportunity for local fans to see the match, celebrate the successes from the previous year and meet and greet the players. And this is perhaps where this show differs from projects such as Hard Knocks and 24/7, where instead of prioritizing the element of performance, training and the business of sport, the central theme of First Team: Juventus is not necessarily soccer, but the value of history and tradition inside an iconic franchise. Whether hated or adored by fans, “The Old Lady” is above all respected because it values and carries the traditions that has made this team so successful, so the viewer sees in this show an appreciation of these traditions, and a sense of humility and respect. Almost every interview with a player, current or retired, stresses the pride in playing for the club. There’s a scene, for example, where young defender Mattia De Sciglio is asked during a promotional tour what’s more important to win, the World Cup or the Champions League? Without a beat, De Sciglio says the latter. It’s no surprise that after the club itself, the main character during these three episodes is Gianluigi Buffon, the team’s captain and legendary goalkeeper. From the first time we meet him, everything he discusses goes back to humility and the chance to teach younger players what he learned himself. After Buffon, manager Massimiliano Allegri becomes the show’s next featured character. He is everything you expected; a straight-to-the-point, attentive tactician whose No. 1 priority is making sure each player remains humble and hungry–easier said than done when you manage a giant club with a lofty reputation. The series, however, is not perfect. It’s produced with elegance and cinematic finesse, but perhaps what lacks is an element of imperfection and raw emotion where the viewer can see more moments of vulnerability from players. The end of the first episode, for example, follows the wonderfully gifted Miralem Pjanic and his relationship with his son as he picks him up from school. 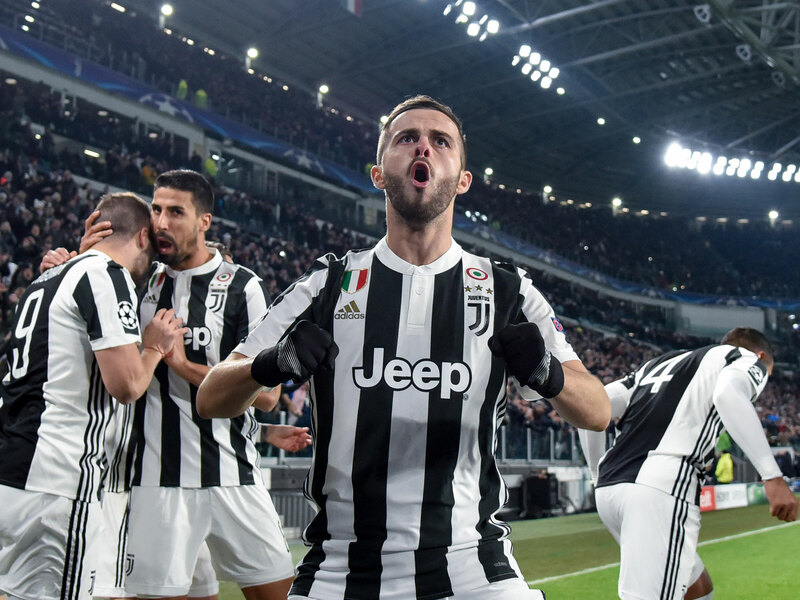 To Pjanic, a quiet and shy person by nature, the ability to have these moments are so precious, because he understands that celebrity status comes at a cost, and family helps him stay grounded. It would have been nice to see more of this. Another intriguing character is Gonzalo Higuain, the Argentine center forward. In front of his teammates, Higuain appears as one of the most confident members, social and with characteristics of a leader. But it’s when he’s alone where you see a more interesting personality. For Higuain, who has a tattoo commemorating all of his family members, the chance to spend time with close ones matters more than any game, and his relationship with his father, a man to whom he owes everything, is truly interesting as even though you never see him on camera, he is ever-present. The second episode ends on the days after Italy’s traumatic loss to Sweden in the World Cup playoffs, following Chiellini as he visits the Italian basketball team. The match action throughout is filmed as a gladiator battle, with an orchestra playing in the background and slow-motion scenes hoping to enhance the grandiosity of the moment, and it mostly works, partly thanks to the fantastic Italian narration. Ultimately, First Team: Juventus is filmed in a manner that not only celebrates the club, but respects every aspect of its foundation. This is perhaps both its strength and weakness, because the audience often fails to see enough intimate scenes from a player’s difficult moments. But this is nitpicking, as by the end of three episodes, the show achieves its goal–to showcase the magnificence and reputation of a giant club, and in a time when social media overwhelms the soccer fan with transfer gossip and tabloid reporting, this series ultimately reminds us of the simple beauty of the beautiful game, and what it means to represent a historic club such as Juventus.